Getting a new dog is an extremely rewarding experience, but just like bringing any pet home there’s going to be an adjustment period. And like us our dogs love having a routine, so being consistent during the first few will be an important part of helping your dog adjust. Whether you just got a new puppy or adopted an older dog you can expect them to take a few days to settle in. 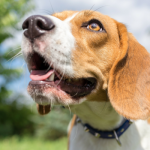 These tips will help make that transition easier on your dog. Here’s how to help your new dog adjust to your home. These tips will help your new dog settle into their new home, and they’ll increase the bond you form with your new dog. 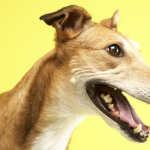 It might take a day or two, or it might take months — each dog comes with their own personality and experiences. Going from the shelter environment to a home is a big transition, so don’t be discouraged if your dog takes awhile to get comfortable in your home. To ease the transition here’s 10 tips to help your new dog adjust to your home. You can help your new dog adjust to your home by taking it slow. He’ll appreciate some one on one time getting to know his new family and surroundings. Let him explore the house and yard at his own pace. Some dogs take awhile to adjust to new settings, and sometimes that can be exhausting for them. If you adopted your dog from a shelter realize that he just came from a noisy and stressful environment; your quiet and cozy home is likely the first place he’s gotten a good sleep in awhile. Don’t over stimulate your dog during the first couple days. If your dog is a bit standoffish just let them check things out for themselves. If they come up to you for attention by all means be as affectionate as they seem comfortable with. Not all dogs bond immediately with a new owner – don’t take it personally. They’re in a brand new environment getting used to new sights, smells, and sounds. It can be a stressful time for your new dog so try to make them as comfortable as possible by keeping things calm and positive. One way you can help make your new dog more comfortable is by providing him with his own comfy bed or safe spot where he can retreat to when he’s tired or overwhelmed. Some dogs need a little extra time to just chill out every once in a while, especially with all the stress of being in a completely new environment. If your new dog isn’t in the mood to cuddle or play you can give try giving him something to do on his own by offering a food dispensing toy or stuffed Kong. By offering yummy treats in a Kong you’re showing your new dog that you’re the provider of awesome things. It’s a simple way to build trust, and if your dog is feeling uneasy in his new situation he might appreciate having a nice treat on his own. When bringing home your new dog it’s important to give him his own dedicated space. Somewhere safe that he can go to if he starts to feel stressed out, tired, or overwhelmed. 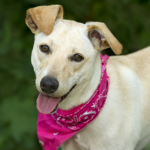 Diarrhea is common among newly adopted dogs, either from stress or sudden dietary changes. You can ask the shelter or rescue which food your dog has been eating to help prevent an upset stomach from a sudden change in diet. If you’re not a fan of the brand they’ve been feeding you can switch but you may want to consider slowly transitioning them over to a new food by mixing some of the old in with the new. Stress from moving into a new environment can cause diarrhea in newly adopted dogs. Ease their stress by taking things slowly the first week and giving them time to adapt. If your dog has diarrhea for more than a few days consult your veterinarian. 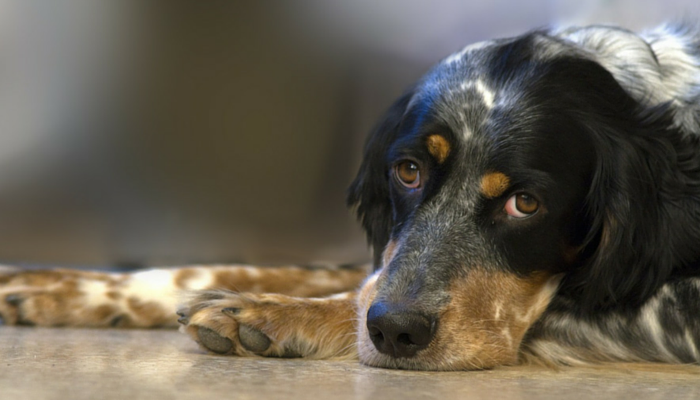 The stress from being in a new environment can cause dogs to lose their appetite. If you’ve adopted a shy dog they might need a few days before they’re comfortable enough to eat a normal meal. A new diet or change in food can also cause a dog to refuse to eat. A dog won’t starve himself; as long as your dog is healthy he’ll learn to adapt to his new diet. If you’re concerned about your dogs appetite offer them a piece of high value food such as chicken or ham. If they’ll readily eat high value food they’re likely just going through an adjustment period. If your dog won’t take high value food after a day or two it’s time to check with your veterinarian. This also includes exercise time, cuddle time or any other daily games or activities he’ll be involved with. He’ll feel more secure once he starts learning your routine and what is expected of him at any given time. I know many owners want to spend as much time as possible with their new dog, and that’s wonderful. 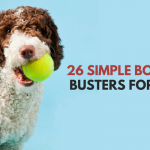 But try to incorporate at least some of your normal activities into the day during those first few weeks to help your dog adjust to what will become his normal routine. 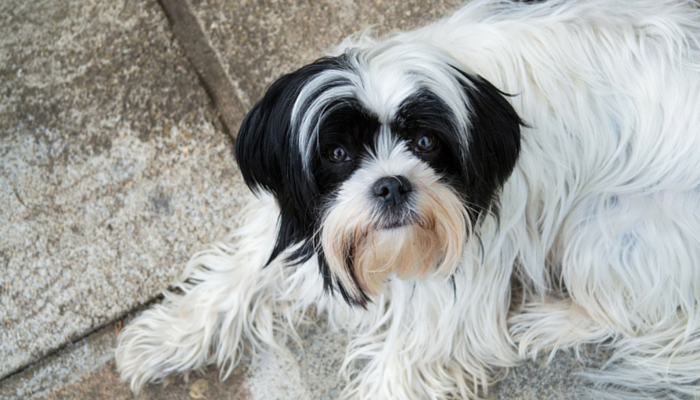 Keeping a consistent routine can help your dog adjust to a new home. If your dog is already crate trained you might want to consider leaving him crated while you go to work, and this is especially true if your have other animals at home. Some dogs can become destructive or overly anxious when left alone. If you’re not sure how your new dog will react when left alone crating is a good way to have some peace of mind while you’re at work. Just remember to introduce your dog to their crate slowly, and make it a positive experience for them. When introduced properly a crate becomes a relaxing place for your dog. Puppies will need to be house trained, but you can also expect a few house training issues with newly adopted dogs as well. You and your newly adopted dog aren’t automatically going to be on the same schedule, so be prepared for a few accidents during the first couple of weeks. Your new dog might be getting fed more than usual and he very well might be drinking a lot more. Make sure you take him out regularly to decrease the likelihood of any accidents. When going outdoors keep your new dog on a leash at all times. 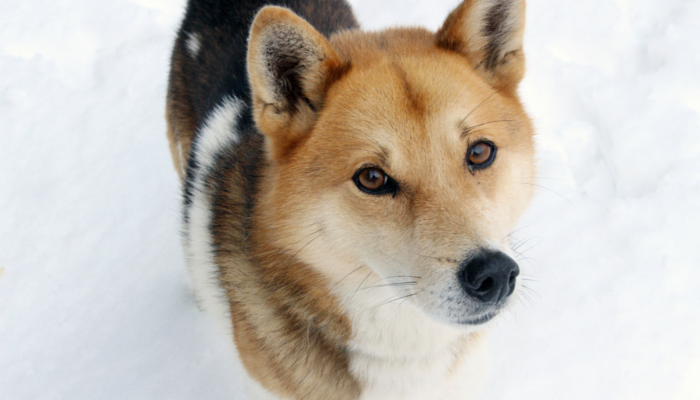 When in a new environment some dogs will have a tendency to try and run away or escape. Don’t leave your new dog unsupervised in a fenced yard since dogs can dig under or jump over fences. Until you know your dog is comfortable with you and will come back when called it’s best to keep them leashed at all times when outdoors. Be sure to supervise your new dog when outside until you’re confident they won’t try to escape. Many dogs are able to jump 6 foot fences, and a lot more can dig under them. When dogs enter a new environment they can become stressed out & fearful, and that can lead to escape attempts. I know it’s tempting to introduce your new dog to all of your friends & family right away by inviting everyone over, but make sure your dog is comfortable in your home first. Some dogs can get overstimulated and excited by all that excitement, and some are extremely nervous around strangers. If your dog shows any signs of discomfort take it slow. Make sure they have access to their own safe space or area that they can retreat to if they get overwhelmed. The same goes for trips to the park or store. Until your dog is comfortable around you take it easy when introducing them to new areas. Imagine yourself in your dogs shoes (or paws) for a moment – surrounded by strangers in a new place where everything is unknown. It’s a bit scary to say the least. Your dog might adjust within days, or it may take weeks. Each dog is an individual with a history all their own. Some dogs came from a nice loving home and might find it easier to adapt – others have been waiting for years at a shelter. Take it slow and make it easier on them by giving them space when needed. Give them some time to settle in and get comfortable with their new surroundings. It may seem like a slow process, but it won’t take long until your adopted dog becomes your new best friend. Ella, Walter, and Miles are all adoptable seniors looking for their forever homes in Michigan. In honor of Adopt a Senior Dog Month consider sharing these lovely dogs to help them find the loving homes they deserve. Interested in Adopting an Older Dog? 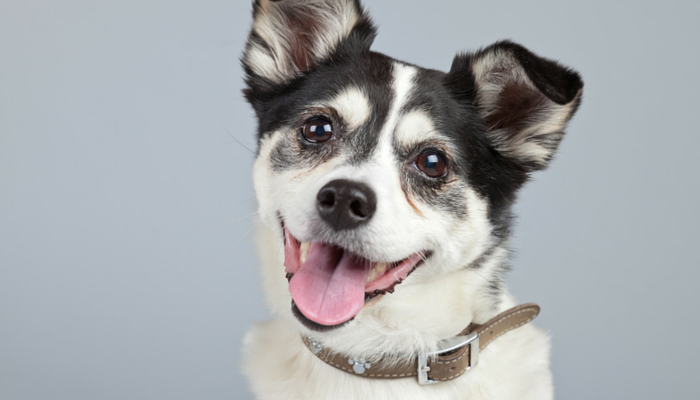 If you or anyone you know is interested in adopting a senior dog a good place to start is with the Senior Dogs Project – they’ve got a comprehensive list of rescues that specialize in senior dog adoptions in the U.S., Canada, and Great Britain. If you’ve adopted a senior dog be sure to check out The Grey Muzzle Organization’s Caring For Your Senior Dog for more great information and tips. Please don’t be discouraged if your new dog doesn’t warm up to you on his first night home. Just like us dogs have their own personalities, and some of them are much more reserved and cautious than others. Each dog is different, they come with their own experiences and personalities. Your dog might adjust to his new home in an hour, or it might take months. Give your new dog some patience, a steady schedule, and his own space and he’ll start to feel settled in his new environment. Your new dog will be your best friend before you know it. How Did You Help Your Dog Adjust to His New Home? Have you adopted a dog before? How did you help your dog adjust to a new home? Any tips I left out? Feel free to let me know in the comments – I’d love to hear your feedback. « Sweet Walter – Older Male Seeks Cuddles – Adopted! Great tips. Adopting a senior dog is such a rewarding experience. Great post, adopting a senior is just as great as a new puppy, in some cases better. Great tips. I applaud anyone who adopts a senior dog. Aww, I hope to adopt a senior dog some day. I fostered a senior Lab directly from the pound one time, and she definitely needed a couple of days to just sleep and relax. I think the pound was stressful for her (obviously) because there was so much noise and activity. It was nice to see her just relax and be herself. I just adopted a Senior Chihuahua who fell in love with her Foster Mom. She is mourning her and I don’t know how to help her. She goes to the door where she saw her leave and cried to go out to look for her. It’s so sad. Sorry no one had any suggestions for you. I plan to adopt a 6 year old dog from a family who needs to re-home. I’ve already been told the dog has separation anxiety when his Mom leaves. So I have these same concerns. Can you tell me how your girl is doing now? and what things you found that comforted her? Any help you suggest would be appreciated. Great tips – I’ve added this to my Senior Pet Resources that I’m publishing later this month. Thanks so much – I checked out your resources and it’s very well done – I’ve got a lot of great reading to do from all of your great recommendations. Excellent advice. Can’t forget those seniors. Great tips. We brought home a senior dog a few years ago, and it was the best decision ever. Great advice for bringing an older dog into the home. I followed through with all of these when I brought my shelter dog home, he was three years old. He adapted beautifully and quite quickly! I like your idea on giving an adopted pet their own space. I would imagine that if they have a space of their own it would be easier to adjust. This would also mean that you would have to give them time to get used to you and your family. Thank you. Some dogs are pretty stressed out & fearful in new environments (especially those that haven’t lived in a home environment before), so giving them some time to relax & get used to their new surroundings on their own definitely helps. We adopted a dog from a shelter last September. He had just turned a year old in August and we are the 4th place, his forever home, he’s been in. He was born and given to the humane society at some point. Then in July just two months before we got him he was moved to a shelter. He is a jack russel rat terrier with a personality bigger than a Great Dane! He’s very sweet, funny, energetic and smart. But he seems to have separation anxiety and when there’s a schedule change his belly gets really upset, to the point of vomiting and bled in his stool. He’s been to the vet several times and Thayer haven’t found anything wrong. I keep wondering if it’s an ulcer or something from stress. Like he’s afraid anytime we get in the car that we are taking him to live somewhere else, and it’s just going to take time for him to see and realize we are his forever home. What are your thoughts? That’s a tough one. Gastrointestinal issues can be brought on by anxiety, and it does sound like he might be suffering from that. I know colitis can be caused by stress in humans, though I’m not too familiar with it in dogs. If he’s having stomach issues on a regular basis I’d probably get a second opinion from another vet, and perhaps consider consulting a behaviorist if you do suspect it’s stress related. If he does have some separation anxiety this article (http://www.aspca.org/pet-care/dog-care/common-dog-behavior-issues/separation-anxiety) has some pretty good ideas on how to deal with mild cases. My dog used to show signs of separation anxiety when I used to leave for work every morning. What worked for her was using a frozen stuffed Kong (I usually froze some peanut butter in one overnight). If I gave it to her right before I was leaving she’d focus on that, rather than me leaving. And after a couple of days she wasn’t nearly as nervous anymore while I got ready and was waiting for that Kong. But separation anxiety can be difficult to treat, especially if his is more severe. But the one thing that helps the most is finding ways to turn those moments when they get nervous into a positive one. I’ve got a list of some useful articles (and one book) on treating separation anxiety at the end of this post (https://www.puppyleaks.com/mild-separation-anxiety/) if you’re interested. These tips help when a dog is here for a long stay as he or she still needs to be put at easy with there surrounding. Thank you again I will definitely be trying some of these ideas. Thanks for the tips on taking care of a new dog. We are thinking of buying a puppy because our kids want one really badly. If we do, I’ll be sure to not let them overwhelm the dog, and let it explore our house freely. i have just adopted a puppy of 3 month it is not friendly and it runs away every time it sees anyone in my house, the saddest is that it would cry the whole night and that can be disturbing to the neighbors. it never bucks or run around it only goes under the wendy house and spends time there. when we try to call or even to take it out it wont respond or even listen to us at all this is so frustrating to my little boy he seem to think that he has done something wrong to the dog even though we all know he hasnt. Does he run away from family members, or just “new” people he hasn’t met yet? If he’s only afraid of strangers I’d suggest trying to socialize him in a stress free environment (with plenty of treats and calm behavior) in an area of your house or yard that he’s already somewhat comfortable in. If he’s afraid of the people living in your house it’s a bit more challenging. Does he seem to have a favorite person? Is he afraid of everyone, or just certain family members? If he’s more comfortable with a certain person that person could work on trying to build up his confidence around the home. Reward him when he does show calm behaviors, and try to gently encourage him to come out and explore everyone (and everything) in the home. How long ago did you adopt him? Is he motivated by treats or toys, Is he too stressed to enjoy either? If he’s too stressed to take a treat from your hand chances are you won’t be able to change his mind about the environment being a “safe” place until he’s a bit more relaxed — and unfortunately that can take time. Is there any chance you can try engaging him in some play? Does he seem interested in fetching? You can try bouncing a ball around to see if you can get him excited about it. Play can be a great confidence booster, but sometimes finding a game that your dog really enjoys takes a few tries. My wife and I are thinking of getting a puppy, so I really appreciated the tips you gave in your article on how to help it adjust to our home. I think the best tip you gave was at the end of the article when you mentioned the need to take it slow and be patient with your pet’s adjustment. We’ll be sure to try and stay as patient as possible to help our new puppy transition as smoothly as possible to a life in a new home with us. My husband and I just transitioned our goldendoodle puppy from my parents. My Mom isn’t well and wasn’t up to taking care of him so we adopted him to our home and love him already. It’s been a week now and we’re wondering how long we should wait until we bring him back to my parents home to visit. We don’t want to confuse him, since he lived with them for the first month after he left the breeder. Is there a certain amount of time we should wait before we bring him there for family visits? If at all? Thanks so much for your help! That’s a very good question. Personally I don’t think I’d worry about waiting a certain amount of time before visits. A week may not seem like a long time, but if your pup has been adjusting pretty well already I think he’ll be fine. (if it were an adult dog that had lived with your parents for years it might be different) I think he’ll love seeing your parents again, and I don’t think it’ll be too confusing for him. We recently took in a two year old coonhound and I’m not sure if it’s just from the stress of being in a totally new situation ( going from outdoor to indoor) or maybe switching foods too quick but she’s been experiencing I wouldn’t neccisarily say diaherria but definitely loose stool. Is it common for them to have this for a few days until they adjust and calm down? I’d say that a day or two of stomach issues is pretty “normal” for a dog that may be under stress and/or adjusting to new food. I’d keep watching her for another day and see if things stay the same or improve at all. If you’re concerned I’d make a call to your vet and see what they suggest — they might want to run a sample, or they might have some suggestions of bland type foods you can try mixing in with her new diet. I adopted Harper, a Pitt-Terrier mix about 1 week ago. Her fozter mmom says she is playful and active. Zince arrivi g she lo es to cuddle snd sleep with me but wo t budge from the bedroom loft and hardly gets lut of bed. Great post, but I’d love more detail on this adjustment phase since “let em get used to it” makes it hard for me to understand what to do with my pup. We have had our 2.5 year old rescue for a week now and he often gets very alert, likes to stare at the door or windows, might get a bit growly even when nothing is out there. We cover the curtains so he isn’t tempted to stare and get stressed at the distractions outside. I have to be careful about reflections too because he will stand and stare at that as well and not relax. We try to encourage him when he breaks from over-focusing on a distraction or is being nice and calm. He grew up in an animal hospital mostly with dogs but also with some female vet staff. He also spent time with a trainer at dog school between ages of 1-2 I think. We just don’t know how to help him get used to the environment and feel more confident and try to teach him he doesn’t have to be so alert all the time. He rarely goes to the bathroom I think because he is so distracted. Do we constantly comfort him? I’m at a loss. Does he seem to get alert during certain times of the day? Or is it something that seems to happen when he’s not actively engaged in something? If you haven’t already you can try giving him a long lasting chew toy or stuffed Kong to see if it they’ll help keep him focused and engaged on something if he starts to wander around and get alert. I really like using frozen stuffed Kongs (I mix some treats & broth in a Kong and freeze it overnight) because they’re an easy way to keep my dog busy for 30+ minutes. It really does help to provide your dog with a space dedicated to themselves. That way they have a place to retreat to when things at the new home get to overwhelming. It also helps since they now have a room of their own that you can leave them in when you need to go out for a little bit. I like that you suggested giving him items that he can do on his own when he does not want to play with you. I will definitely do that to ensure that I will be getting along with our dog well in the future. My husband and I just plan to get a labrador retriever in August next year as a gift for ourselves on our anniversary since we still don’t want to have a baby. We adopted a 7 month old puppy yesterday. He was raised at his breeders house so there were anywhere from 2 to many other dogs with him. The breeder told us what food to make, and what kind of toys he likes and his potty schedule. He has been with us now for 24 hours and has slept for probably 22 of those hours and hasn’t done much other than eat. He has vomited a small amount yesterday and today and wouldn’t pee until this morning though I tried about 10 times (outside and pee pad which he had at the house) and every time he would try to go back in the house. He has a bed and likes to go from it to the couch and back. Should I be concerned about his lack of engagement? He is currently snoring loudly on the couch next to us. I am in the process of adopting a 6-month puppy, and I have a question. You mentioned having space just for the dog so that they relax, if you are crate training, should this be a separate space from the crate? Or would the crate be okay if the door is left open? This is my first time adopting a dog at such a young age, so I am trying to read up on the subject before she gets here. I got this little dog about a week ago. She shoed up at my office. She was running the street with another little one. The other ran away but this one stayed. Took her to the vet and got vacs and he said she was healthy. Got her groomed and bathed. Here is my question she won’t drink her water. She is eating very well but won’t drink water. I’ve changed bowls and change the water every day. She is about 2 and weighs 5 lbs. Any help would be appreciated. Thank you. Beyond that I’d recommend another checkup with your vet to rule out any health conditions that may be contributing to her refusal to drink.